2016…what a crazy year in music and beyond. Welcome to the Best Of 2016 Readers Poll and Staff picks, our first Year End Awards for outstanding contributions to the music world. As you know, here at Uncivil Revolt, we strive to draw attention to the underdogs, and the up and comers in the industry. You won’t see any of the supergroups here, just the best of the rest! We offered an ecclectic grouping of talent to our readers for consideration, whom are listed below. We all hope you enjoy expanding the number of bands you listen to, as much as we have in showcasing them to you all. Sincere thanks for your continued support! Now enjoy, and here’s to a Rockin’ 2017 for all of us! Just a no nonsense staraight forward rock voice. Danni is the voice of the band Dissension Rising and has proven that Rock vocals need not be overdone and given in it’s purest form from the start. Strong without overdoing it she brings that blues sound back to rock and roll. Non conforming with a gypsy style all her own she is your fan voted Female Rock vocalist of 2016. Gemini Syndrome. 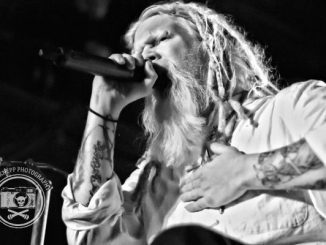 So much to say about Aaron; most notably, the power that he displays on stage mixed with true humility off stage makes him one of the most respected voices on the rock scene today today. With all that he brings, Aaron is your male rock vocalist of the year. With an attitude all thier own and a “we do it our way” game plan, From Ashes to New Video for ‘Lost and Alone’ has touched on the way many of todays youth feel. With the number of votes they received, we can easily see why they earned Rock video of the year. Wether it be on social media or live Artifas brings it home. On stage this bunch of guys do it night in and night out. 2016 has seen them criss cross the country not only performing but sharing time with thier fans. Humble personalities with the love of music and the road they have found thier fanbase as being voted the hardest working band of 2016. Dissension Rising coming from the Rock scene in Ireland They stormed into 2016 playing sleezy Rock with a Bluesy undertone. They have a strong fan base in many countries, they performed their first US Tour in 2015 and just completed their very successful 2016 US Tour, arrangements are already underway for their 2017 US Tour. With a long future ahead of them it is evident by the voting that thier fans want more. Spoil Engine is a 5-piece metal band from Belgium. With a mix of melodic thrash metal and groove metal they explode in a fury few can comprehend. With the video ‘Disconnect’ they display a discontent with the policies of the world powers and let the world know it. 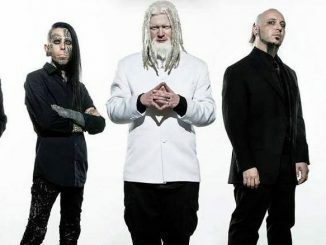 There is no ‘Disconnect’ between thier fans with them voting this as Metal video of the year. With gut wrenching vocals and having the ability to power through lyrics along with matching the intensity as frontman for Even The Dead Love A Parade , Jordan Codnery puts forth the growls of an animal but doesn’t lose the verosity needed to keep up with the Metal Rage. Tatiana presents beautiful clean vocals but brilliant growls. Fronting the band Jinjer from The Ukraine She can beat you down with brutality and then pick you back up with an angelic voice. Hair flipping and microphone whipping with an all out assault she brings an energy to stage that is equal to none. Although KYNG Spent Alot of time on the road in 2016 we couldn’t help but play this song over and over. These L.A. based guys have a new and credible sound that can follow through for years to come. 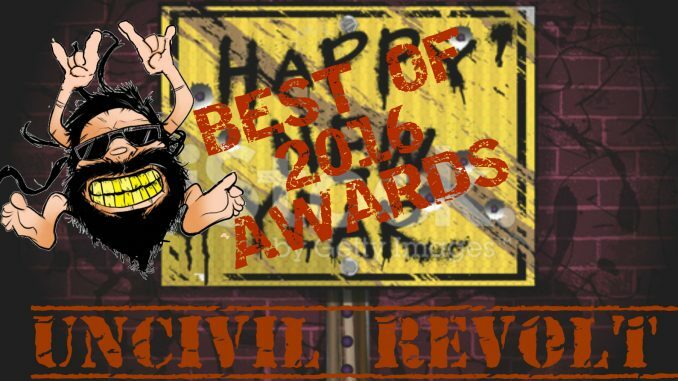 Welcome to Fat City by CROBOT is our choice for Album of the year. With a sonic sound that comes from the vast expanses of the universe every song takes you to another place. A mix of blues, funk and fuzzy guitars it represents what rock n roll needs to be again, fun and the life of the party. With no glitz or glamor. Crobot bring us to a place that only meditaion can take us. 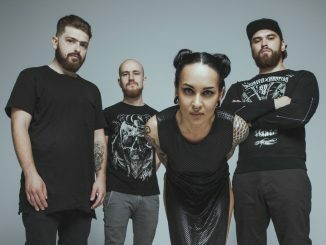 Jinjer Premiere Official Music Video For Track “Perennial”! EP Release & Tour Kick Off TOMORROW!